A new partnership with Athletes for America includes educating and training young athletes to handle emergency situations. National charity will train chapters in CPR and other life-saving skills. 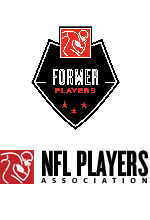 WASHINGTON—The NFL Players Association Former Players pledge full support for Athletes for America (AFA), Andre Collins, NFLPA Director of Former Players Services, announced today. 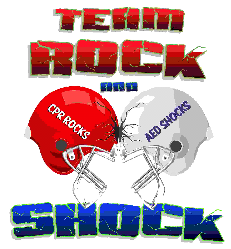 AFA is a national, 501(c)(3), not-for-profit charity dedicated to educating, training and certifying high school, college and professional athletes in the life-saving skills of Cardiopulmonary Resuscitation (CPR) and the use of an Automated External Defibrillator (AED). 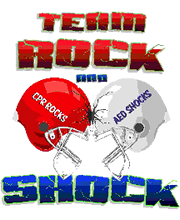 The charity is also highly focused on getting AEDs onto every playing field and into every athletic facility in America. Last year, 325,000 Americans died of Sudden Cardiac Arrest (SCA), making it a leading cause of death in the United States. 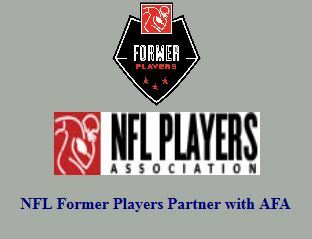 On Sept. 8, 2012, NFLPA Former Player Chapters will participate in a national day of training to become certified in CPR and the use of an AED. Once trained, the chapters will continue to raise awareness in their local communities creating outreach training opportunities for high school, college and professional teams. “As a direct result of our relationship with AFA, lives will undoubtedly be saved,” Collins added. For more information, please contact Andre Collins at 1-800-372-2000.